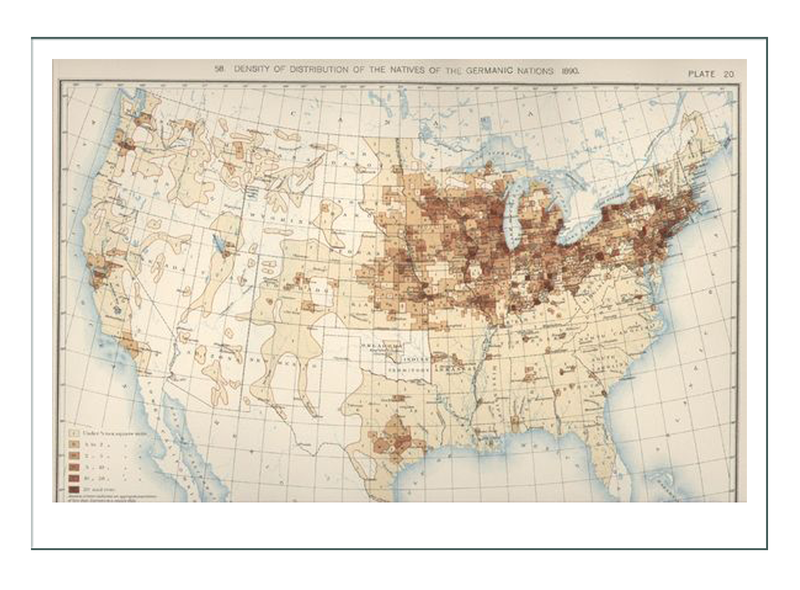 By 1940 the settlement of European had distributed throughout the US, although it was still concentrated in the farming lands, and the territories nearest to the places of disembarkment along the great lakes. The peak was in 1885-87, the time of Mary’s depiction. Mary’s story describes the “jump”, or the immigration pattern of the next generation, the ones who came to America as children, were born here, or who moved away from their parents for various reasons. By 1885, you can note a distinct movement of Irish to Montana, the Dakotas, and Wyoming (as well as points far south). This would be Mary’s generation. 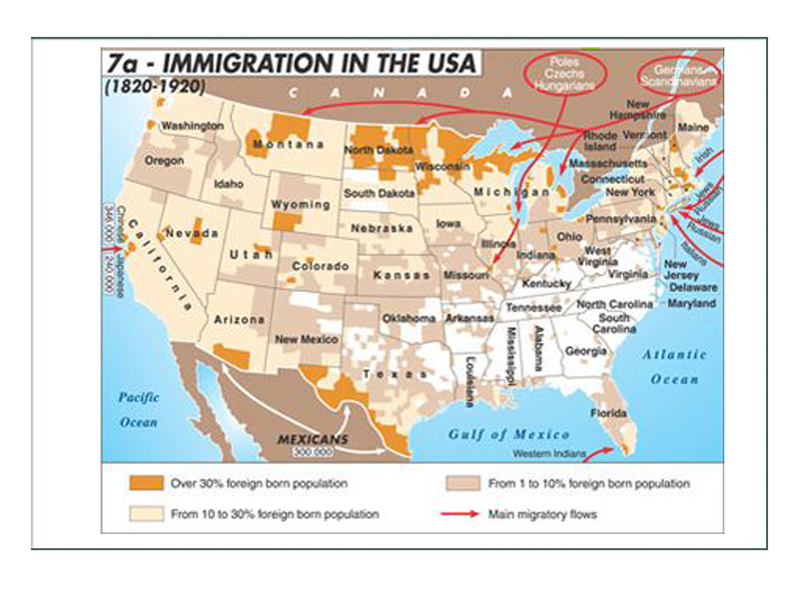 The 2nd generation of immigrants in about 1885 accounts for a big “jump” in movement from near the Great Lakes where their parents landed, and the far reaching points of the US. It’s important to note these are areas that were previously lightly settled by other than indigenous peoples. 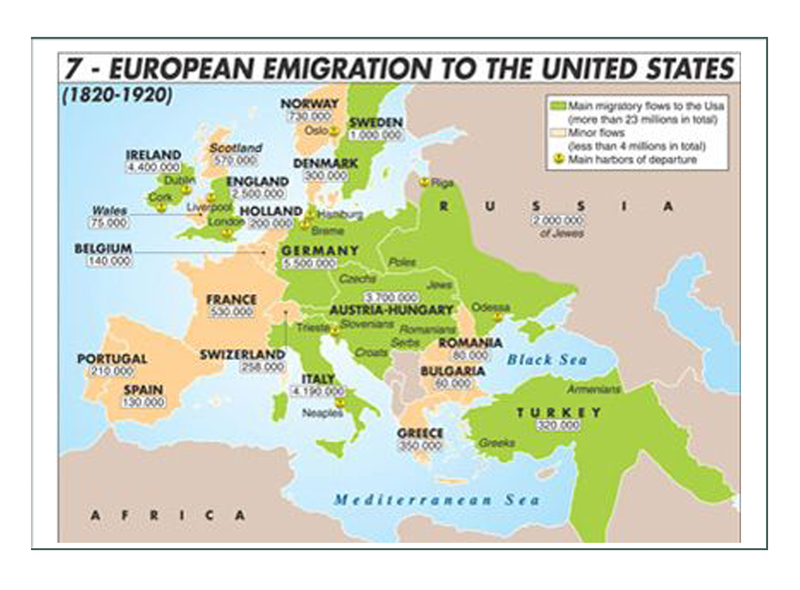 It is important to note as shown on the map above, that the areas this 2nd generation of Irish migrated to were largely unpopulated at the time except by indigenous peoples. They are concentrated on points where overland trails and later the railroads converge. Part of this might be the Irish sons were actually building the railroads at the time, and part might be it was an opportunity to start anew completely independently of others. 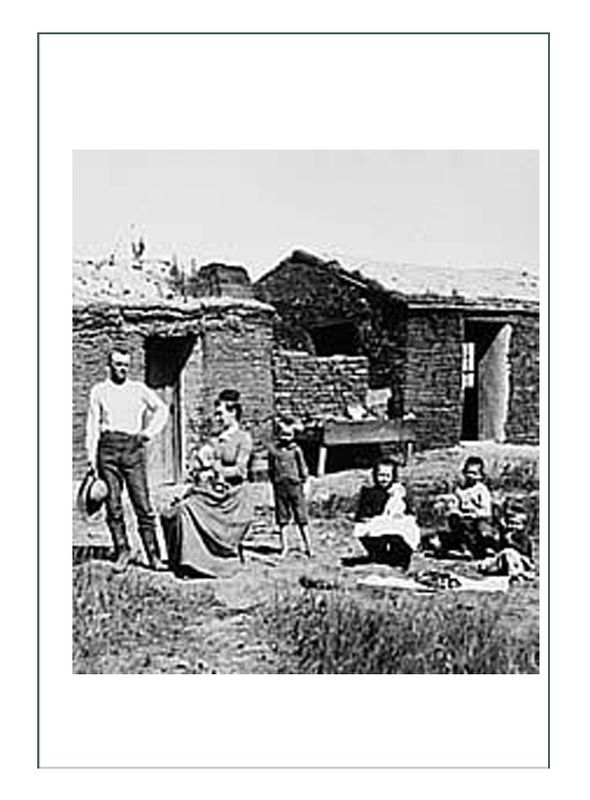 More likely, it was a result of Abraham Lincoln’s Homestead Act which granted acreage to all men and their wives. 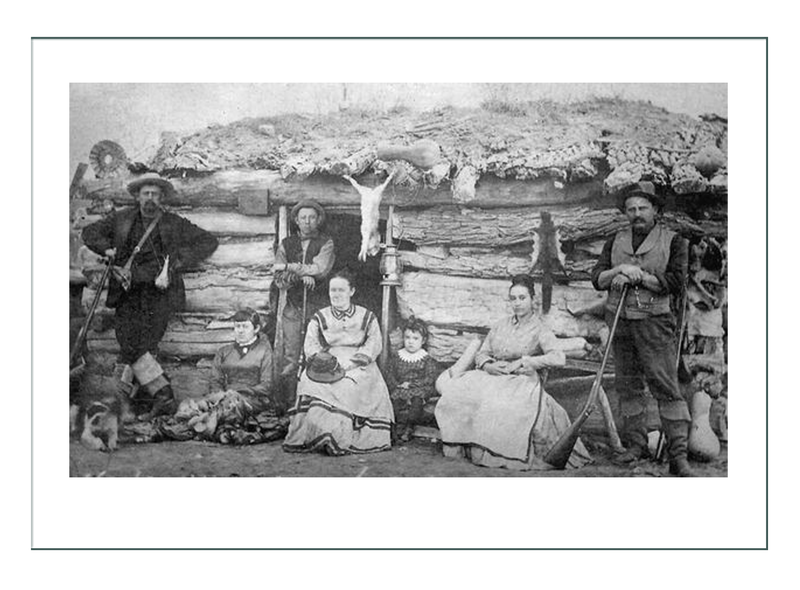 By 1870, this movement to establish homesteads had become attractive to the next generation of Irish. Mary’s depiction of a younger daughter of a large family of Irish immigrants, begins near their point of debarkation in the state of Wisconsin. 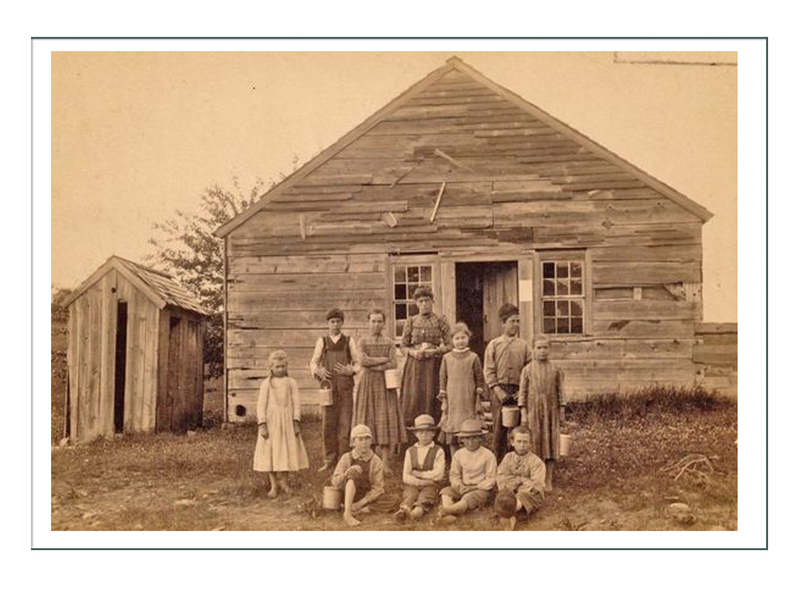 Assuming the parents had arrived in the 1840’s, and bringing their vast skills in farming and farm management, the 1st generation Americans would have most likely been farmers. 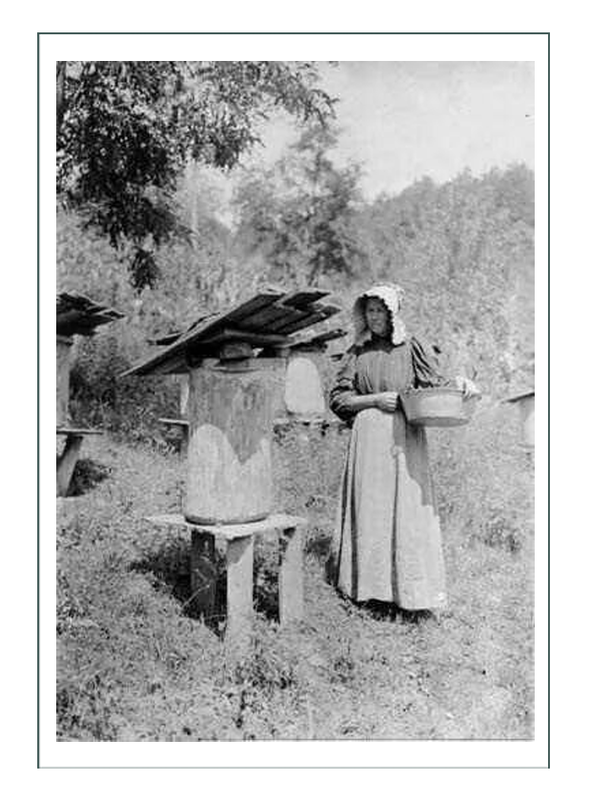 Many of course, would ply their skills as craftsmen and tradesmen, but many of the discriminations of the time would have isolated them within their own cultures, similar to Melissa’s depiction of the Illinois farm wife of 1885. This is the story of a farmer’s daughter. Being 7th of a family of 10, and behind 4 older brothers, by the 1880’s, Mary would have had little contribution on the farm. 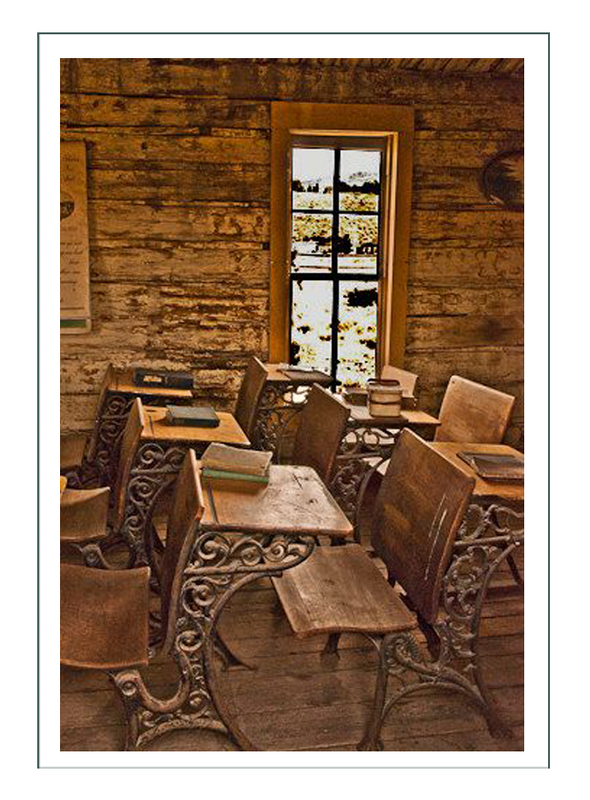 Education in America was good, even for girls, so she would have had the basics of a one room school house education. 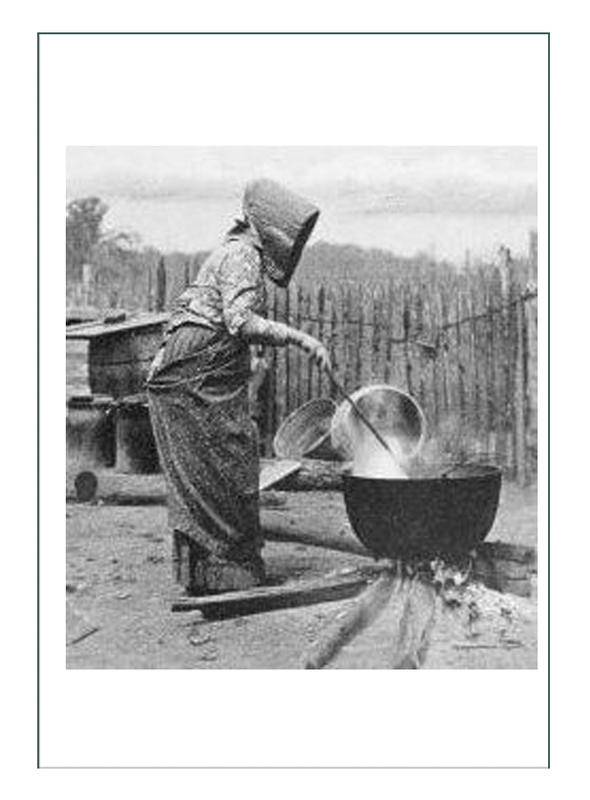 With little to do with so many brothers to do the chores, her role would be clearly that to learn the roles of women as wife, mother, cook, housekeeper, laundress, seamstress. While she could most likely do all the chores because she would have done them as a child, her role might be restricted to weeding the garden, gathering produce and eggs, maintaining the chickens, or maintaining the house and growns – very minimal amount of work and investment for the day (a huge amount for our time). By 1880, with hard working and skilled parents with so many children to help, they would have had a lovely frame house built Victorian style in the 1860’s. Well furnished by the mid 1880’s, the family would be benefitting with some leisure and profit by now. It might be a dairy farm, or a dairy farm that raised grain to feed their own animals and to produce surplus for profit. 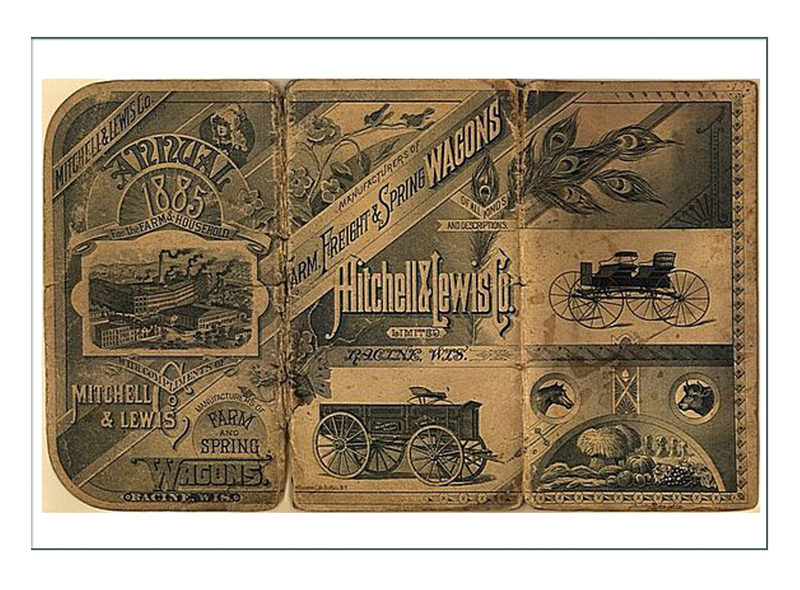 Being near Chicago markets and with trains well established along the lakes, they would have many opportunities to sell goods in exchange for equipment, tools, and knowledge. 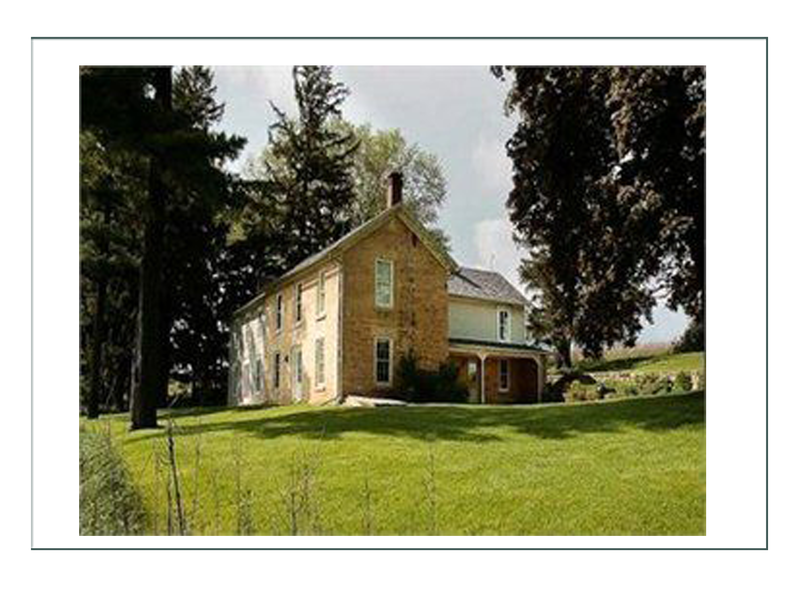 Mary’s character, seeking a life for herself, and having less to do with the Wisconsin farm the older she got, would not be required to prepare for marriage like her grandmothers had in the 1850’s and 1860’s. The new independent American woman was learning to fend for herself. 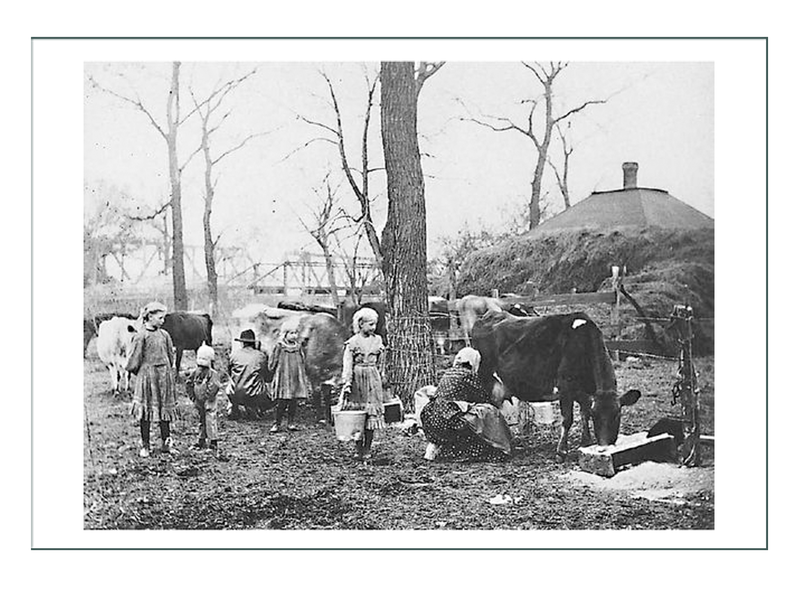 By 1885, women were running farms and businesses. Many daughters were moving to the city to work in new factories in the textile and technology industries and not marrying. 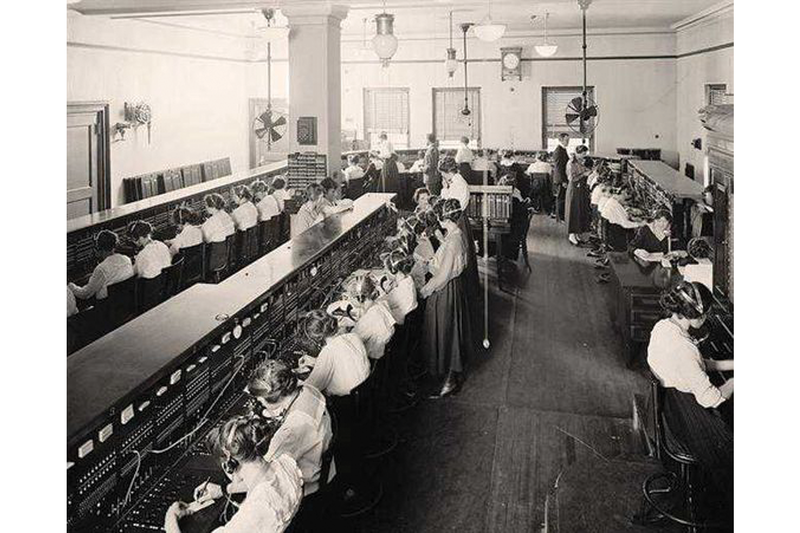 Other young women were going to “Girls’ Schools”. 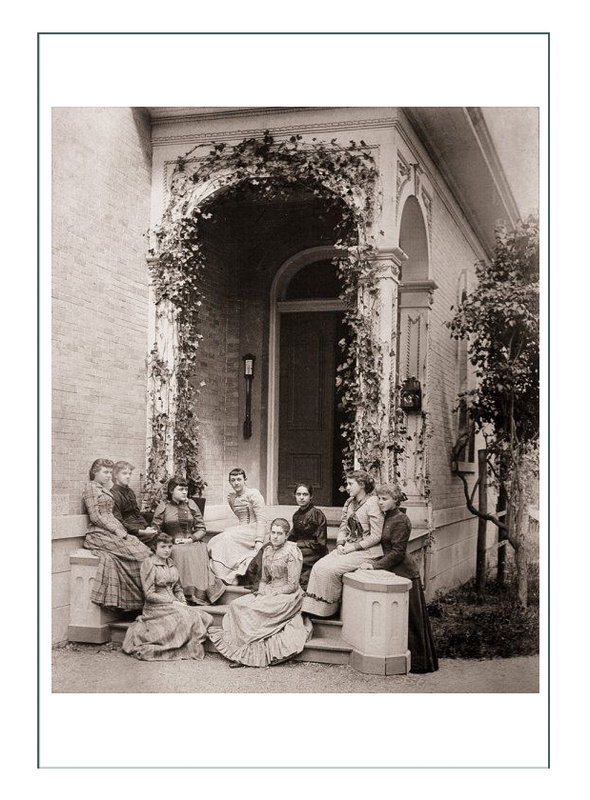 They were basically for the Arts or teaching, although some branched out into the sciences and mathematics which would lead young women in the next decades into medicine and invention. 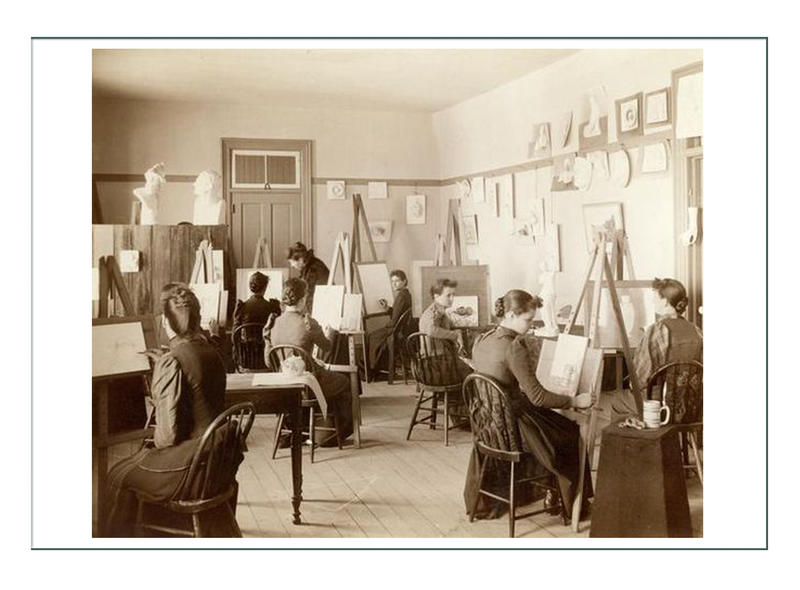 Wisconsin girls attended this advanced school near today’s Madison. 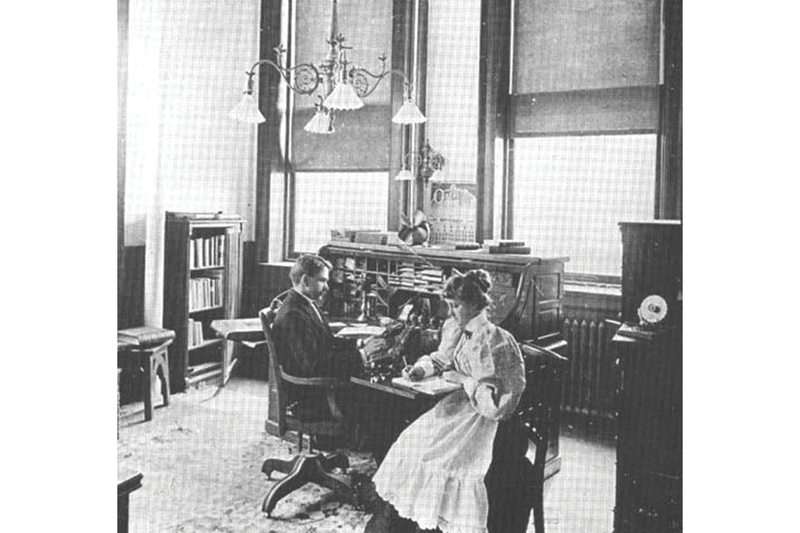 In 1890 it was a preeminent place to obtain one’s teaching certificate. 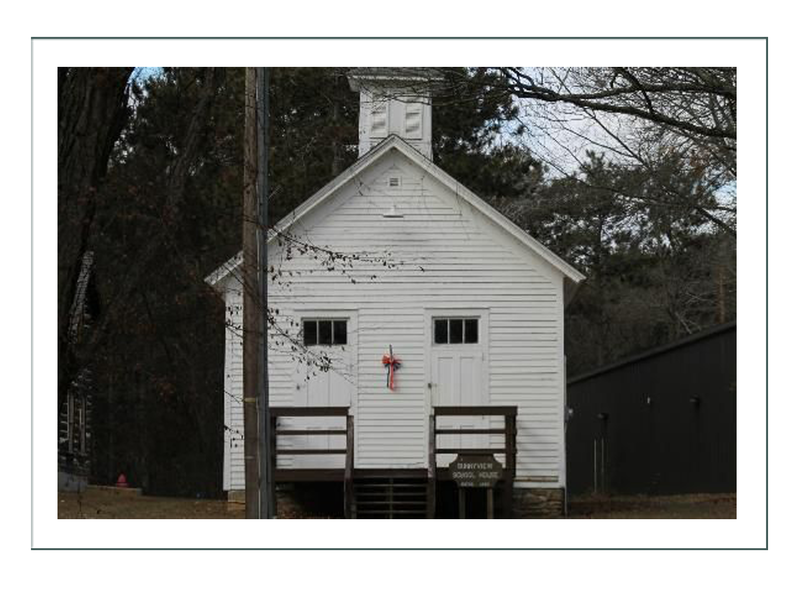 Mary’s character would have achieved her teaching certificate, and found a small school near her home to work. She might have gone to a nearby town, and been housed by local people on a rotating basis. 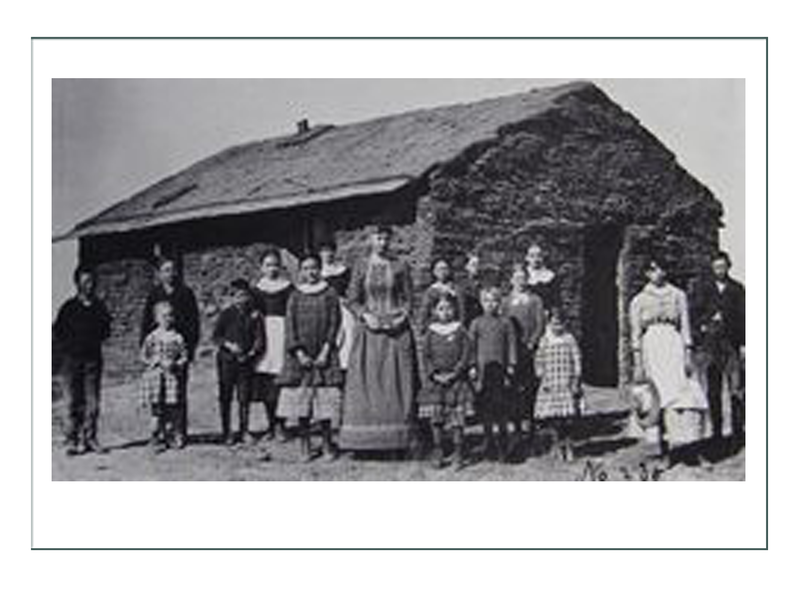 It would have been a well established school of predominantly Irish or German immigrant families since they would be in communities grouped together. 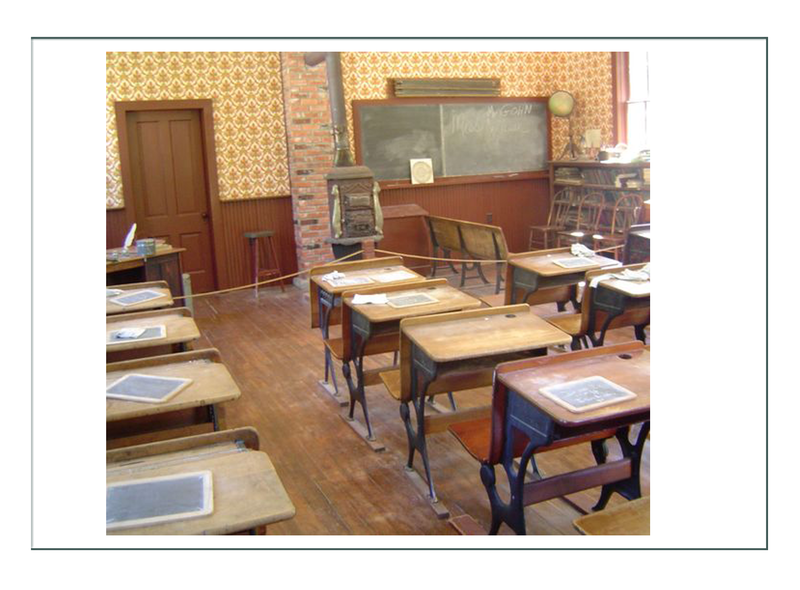 The school would have been well appointed with equipment and furnishings for the time, and somewhat of a comfortable arrangement. Mary would have fallen in love with a local boy. Perhaps he was someone she knew, and more likely it was someone she met at a social or while staying at someone’s house. He would be a teacher too, and one with huge dreams and aspirations to become a writer. He would be a researcher; a thoughtful, gentle and quiet man who would be the 5th son of an immigrant farmer, and have come from a similar background and history as Mary. Mary and her husband would be given a little house on the edge of one of their family farms, and he would take over teaching the school where she was. As typical of the era, as soon as Mary would say “I do”, she would not be permitted to socially teach any more. 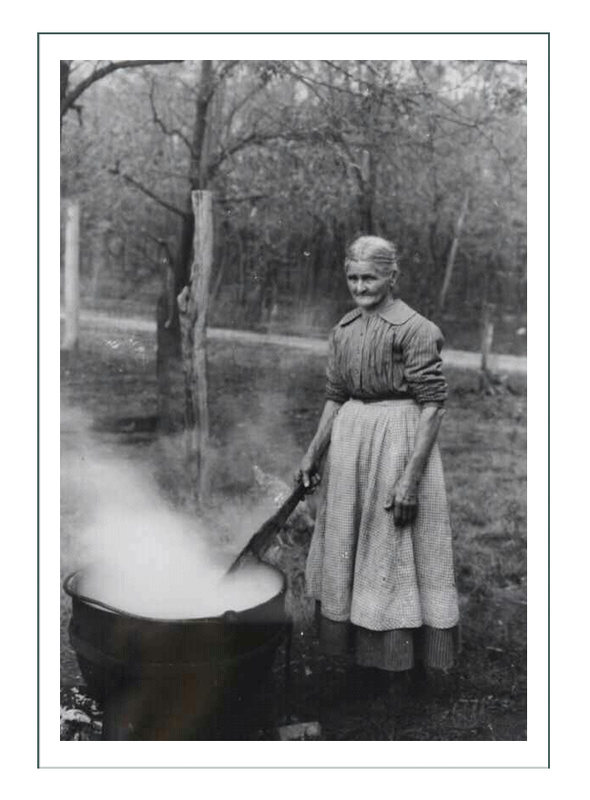 She would become a housewife. She would have the skills of a farmer, the education and experience of a teacher, the will of a newly formed American independent woman (most likely in favor of suffrage and Women’s Rights in owning property and businesses) – but with the marriage her singular role would be “wife”. There would not have been enough money. They would not have been needed on the farms. Mary would become aggitated and wanting to work. 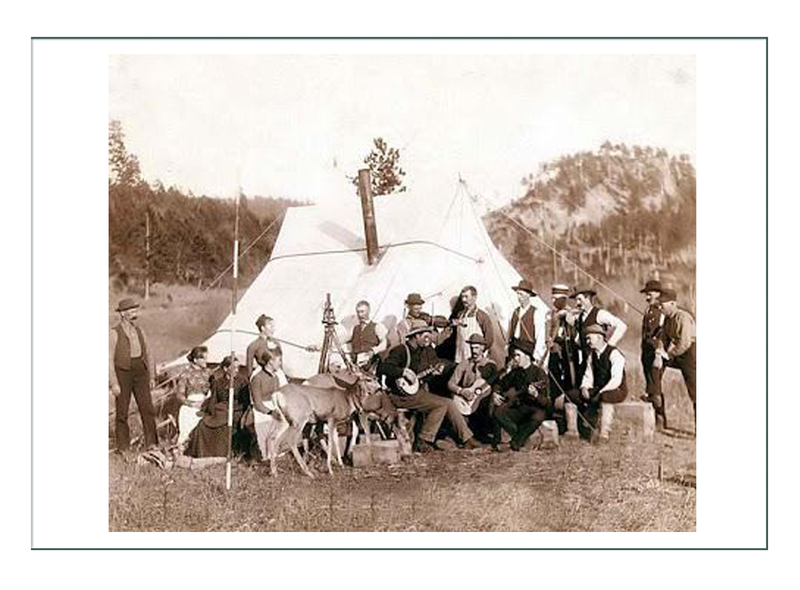 They would hear about the wonderful worlds of the West – Dakotas, Wyoming, Montana, Nebraska, Oklahoma. Their friends would have gone there and established themselves already. 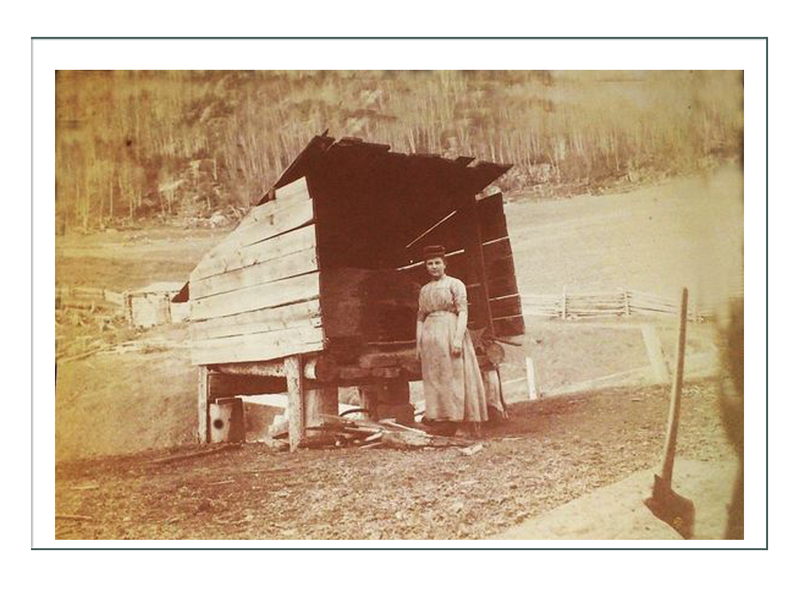 By 1887, Mary and her husband would have wanted to Homestead. 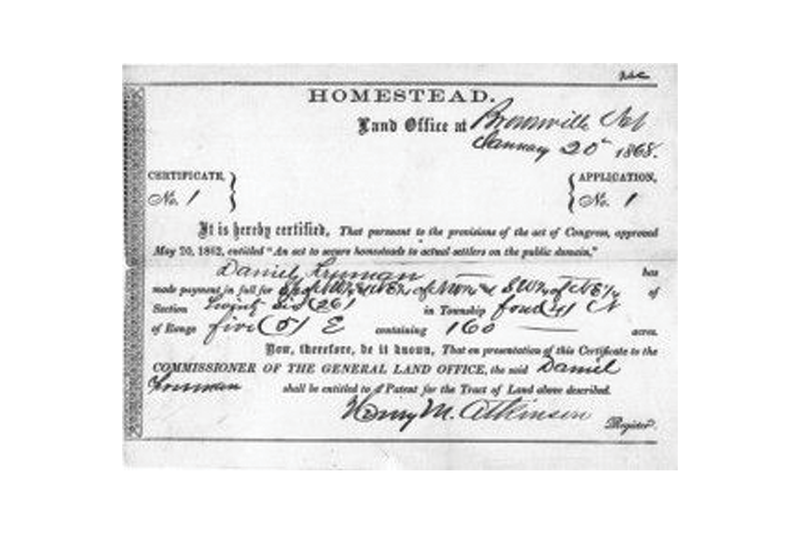 In 1887, only 160 acres per husband and another 160 for the wife were offered with Lincoln’s Homestead Act of 1862. 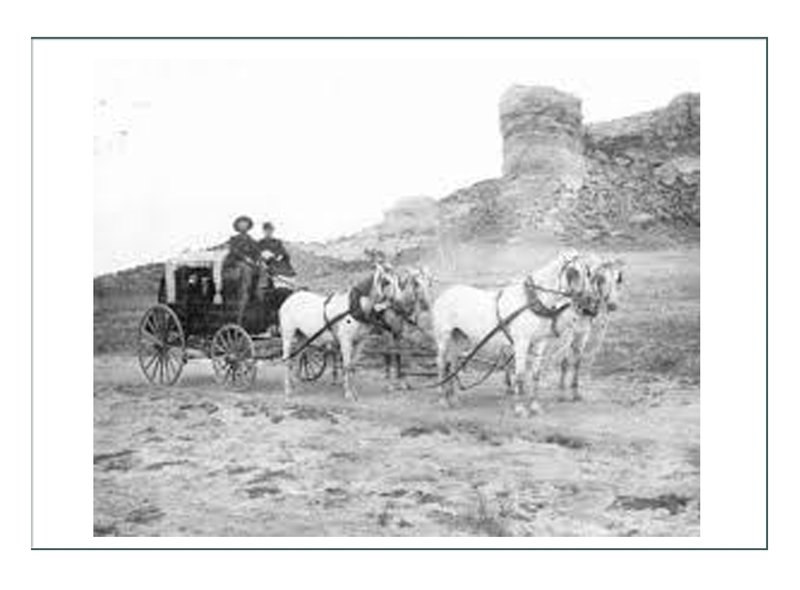 In 1910 that would double, but Mary and her husband would leave all that they knew, the relative comforts of what was essentially a small town or rural life, and take off for the West. Coming from the Northeast, there were trains heading west, but not many. 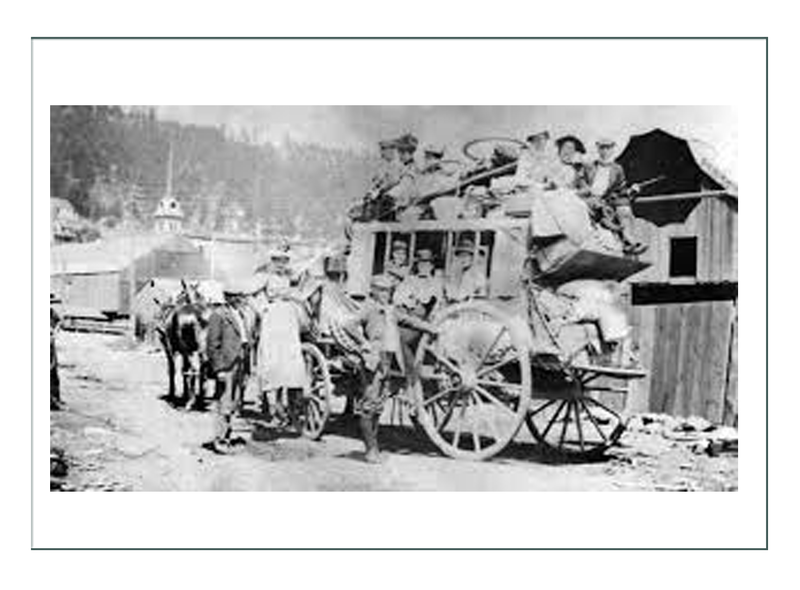 They more likely would have taken the train south, visiting family and friends in St. Louise or surrounds, and then caught the transcontinental railroad to Cheyenne. 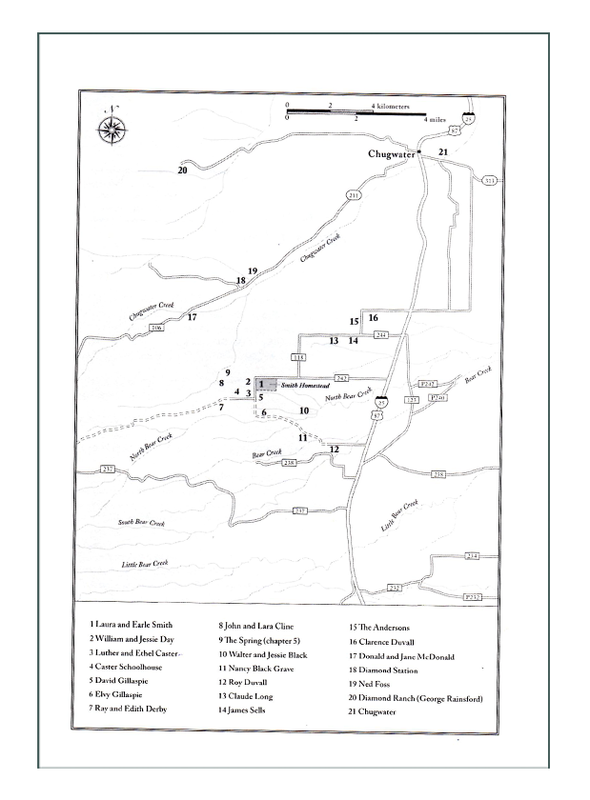 From there they would have taken the spur (no longer in existence, but thriving at that time because of the Swan Cattle Company) north to Chugwater. 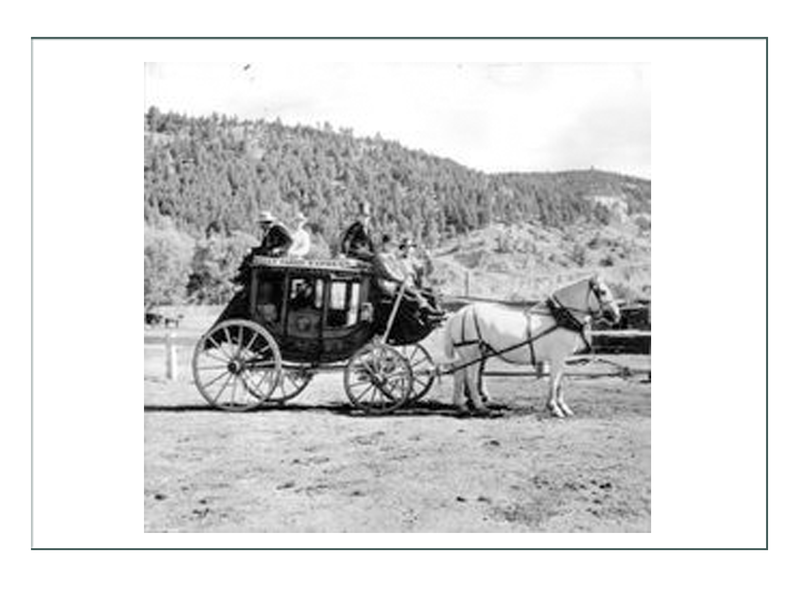 By stagecoach it would be a full day (by car about 3 hours). By train about half a day, making them wonder at the innovations. 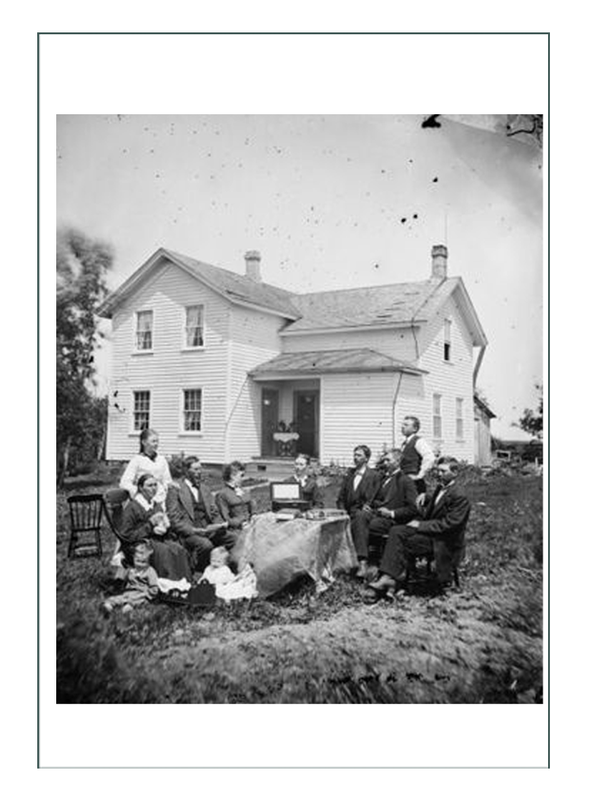 Mary and her husband would have brought minimal provisions with them, as they planned to return to Wisconsin in the winter, and figured they would only be doing the minimal to obtain the homestead. 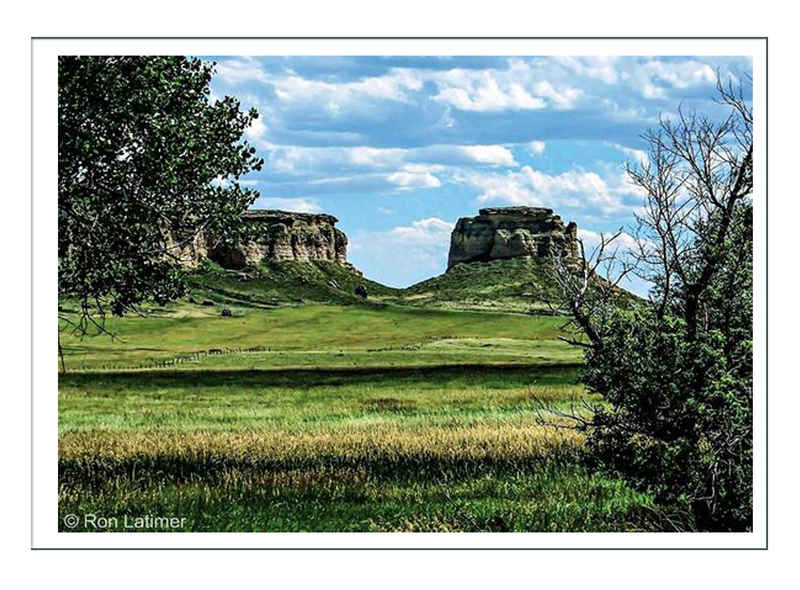 They wouldn’t have intended to actually farm or ranch, which is a good thing, because when they left Cheyenne on the railroad spur, the high plains desert of southeastern central Wyoming near the Nebraska border would look very dry and brown compared to the green grasses of Wisconsin. The railroad not quite reaching their destination, they would take a farm wagon or the occasional stage north. 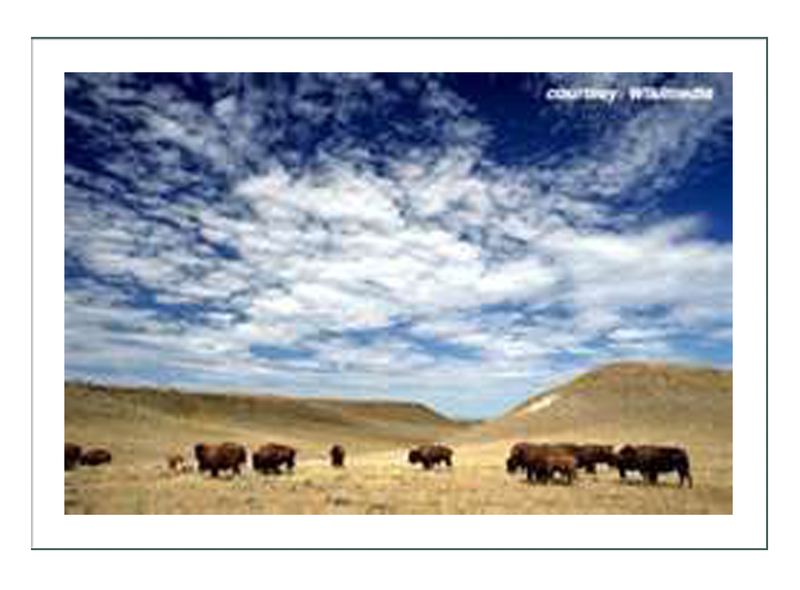 Their friends had recommended the thriving ranching community of Chugwater, Wyoming. 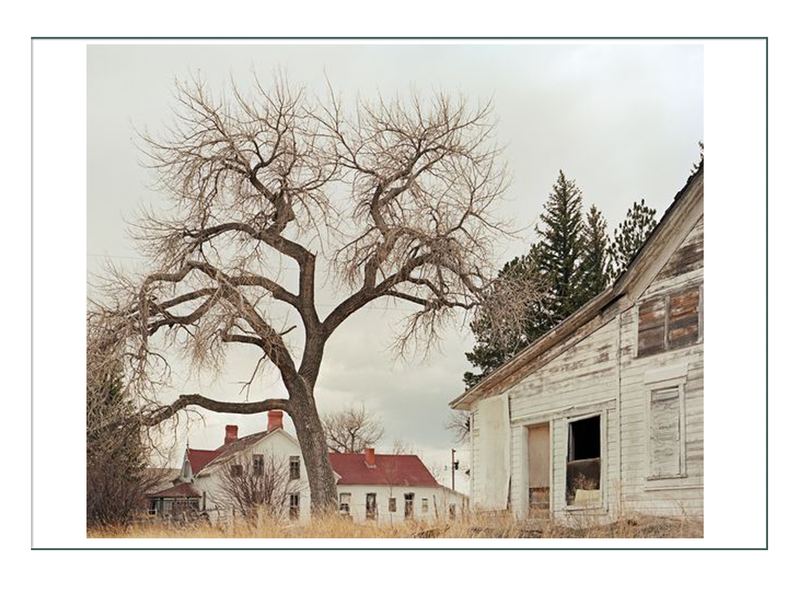 Chugwater, with the headquarters of the Swan Cattle and Land Company, was a stopping point for many homesteaders. 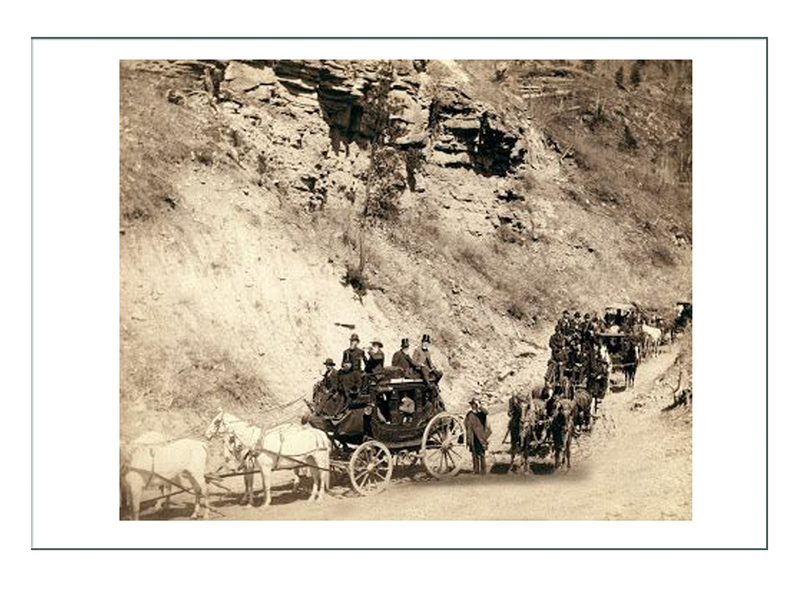 The land company was established there in 1872, and was the reason the train went as far north as it did. 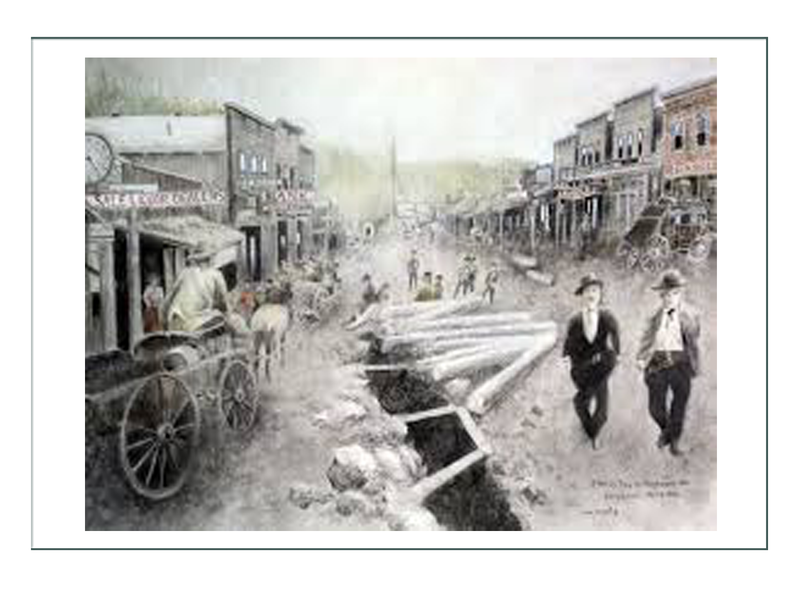 Mary’s character arriving in the late 1880’s would find the Company flourishing, and the town as well. There was not a store, however, and no services. 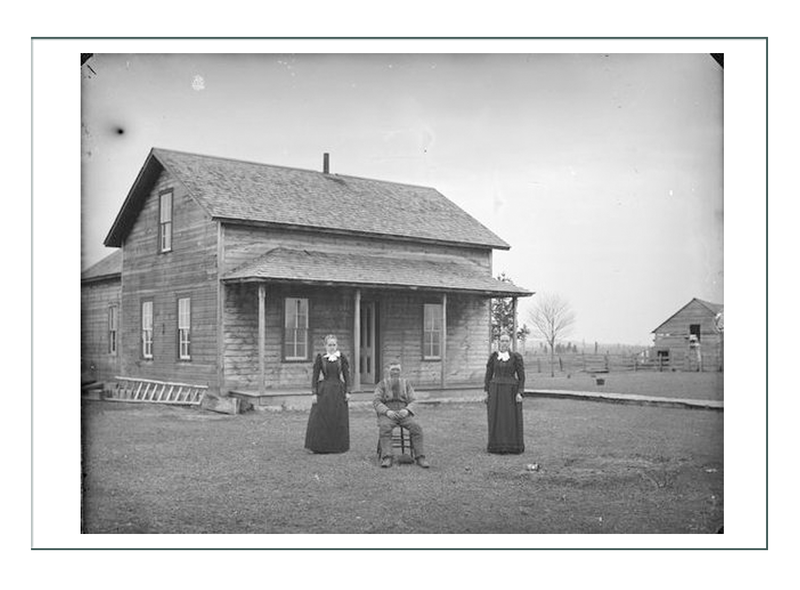 There were just homes near the roads and railroad that would provide shelter for those like Mary and her husband who would have come ill prepared for Wyoming. The first thing the newlyweds would have had to do was buy goods and furniture and a way to build a shack or shelter. They would have brought money, but not realized there wasn’t anything to buy. They would have reluctantly stayed in someone’s home until goods could arrive via train and wagon. 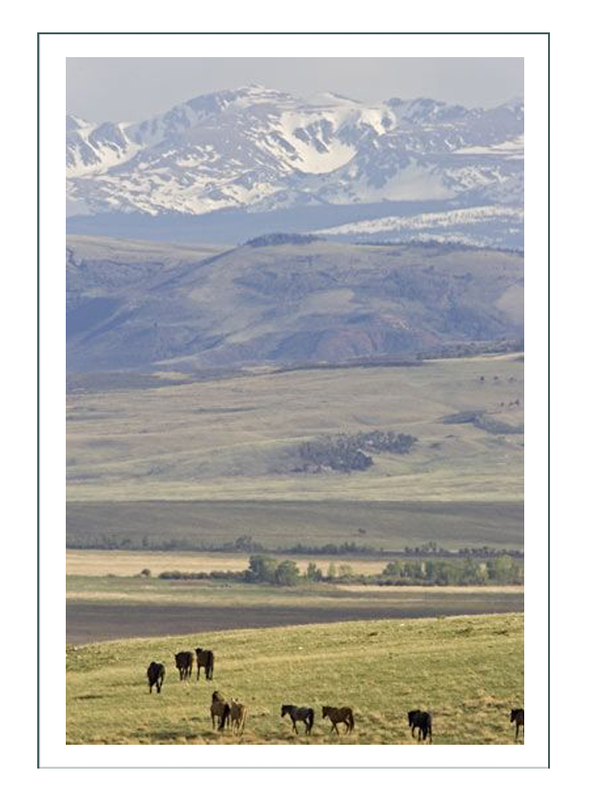 The Wyoming landscape, while productive for cattle and sheep, would have perplexed Wisconsin farmer/teachers. They would have counted on growing a small garden to feed themselves and keeping chickens and cows for that purpose. 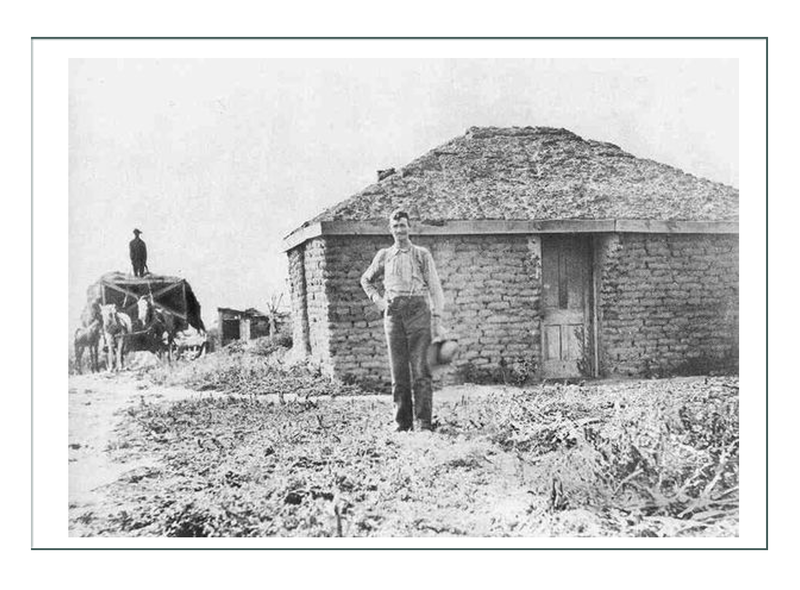 They wouldn’t have counted on how few homestead acres had access to water. 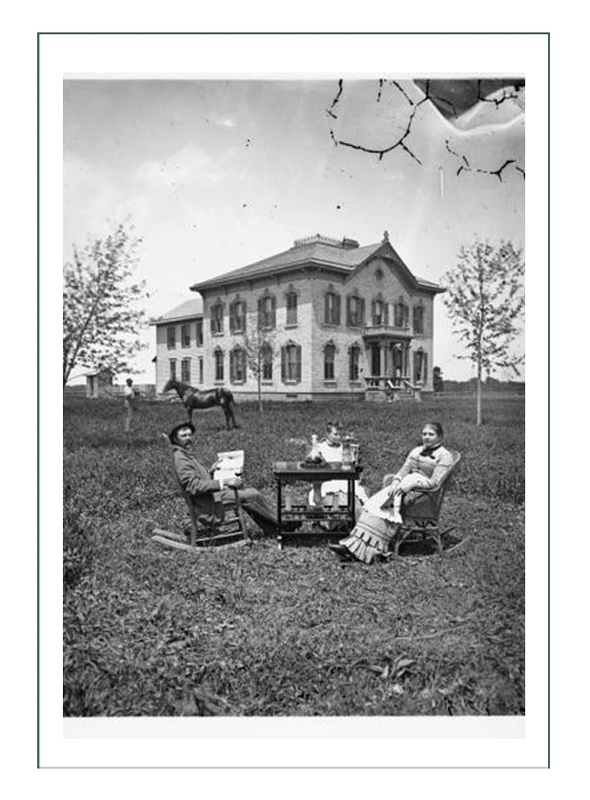 Most of the easily accessible homestead acreage had been taken right away in the 1870’s, which left the inland and dry portions to newcomers nearing 1890. 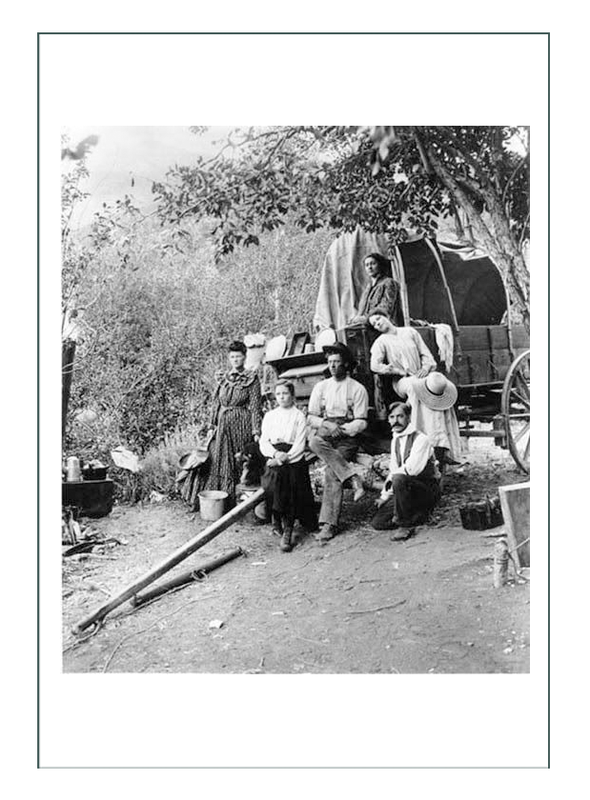 Mary and her husband would have consulted with locals to find the best possible spot, but that still meant miles on foot or by horse or wagon just to get to a place. The likelihood of water was scant, so they would have probably worked out a deal with established neighbor to use or to cross the neighbors’ land to get to water. They probably figured since they weren’t actually DOING anything, that they could get by providing for their own needs and that of the old nag they would acquire to pull a wagon. Winters would be difficult, and summers hot, dry, and windy. All of it would be an extreme challenge to people who grew up with lovely established farms and homes under the protection and guidance of their parents. 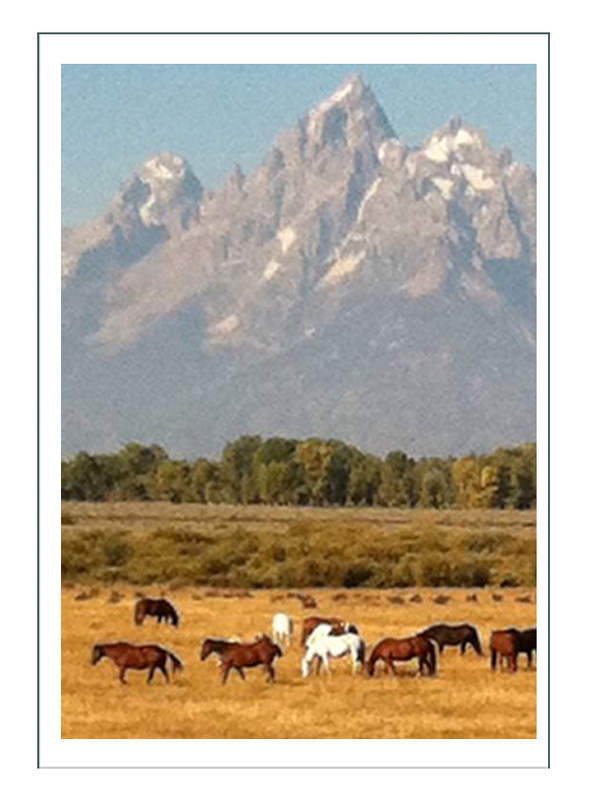 Wyoming would make or break their characters. Some would build sod homes, some shacks of rough sawn wood. 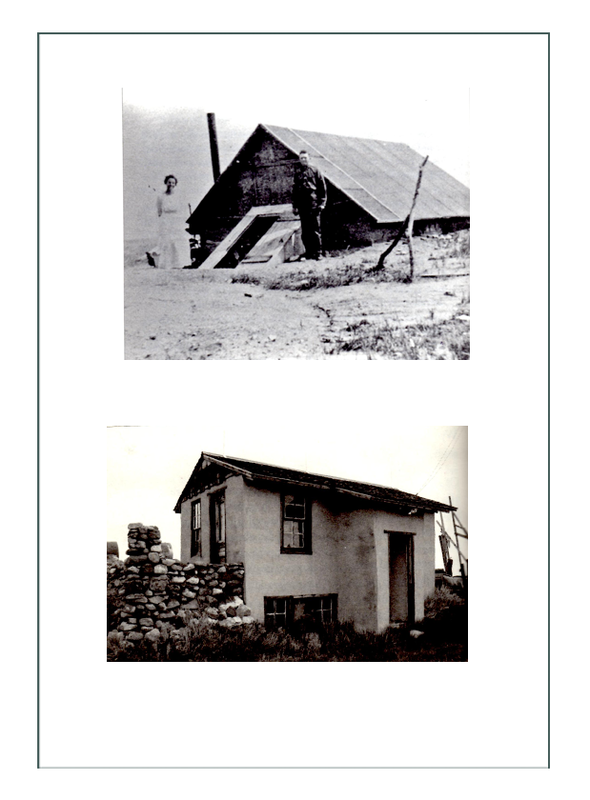 To homestead, you had to have walls, a roof, and personally live on the land. Tents or temporary dwellings didn’t count. 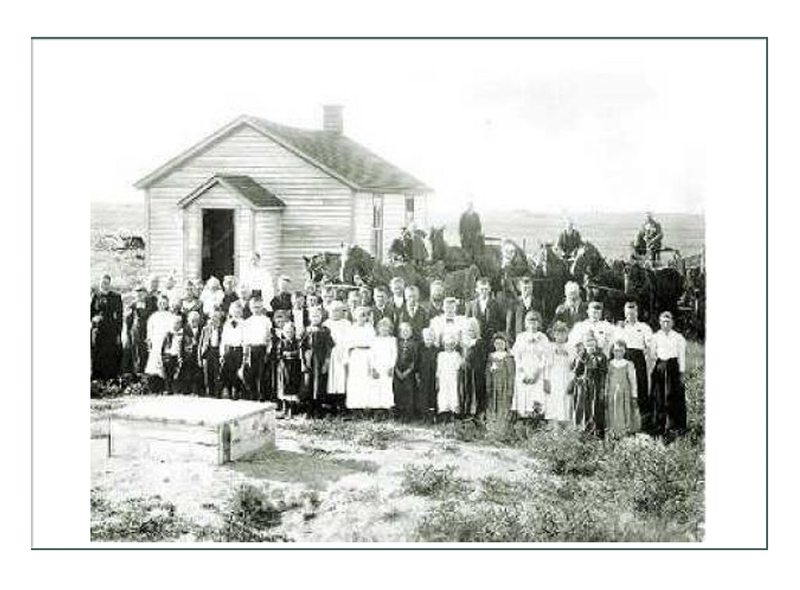 Because a wife also was entitled to 160 acres, it was mostly couples who came, although groups of men AND groups of women (mostly sisters) homesteaded in the Chugwater region successfully. On a homestead, there wasn’t much to do, as people like Mary’s character would have been just doing what it took to survive, and not a lot more. There was not a house to care for really, as one could hardly be expected to maintain social graces in a house made out of mud. Neighbors were in the same situation, and there were not expectations for social structures as would be found in the east. The challenge would be in getting food on the table, and getting water. It is likely the women spent most of their time hauling water and heating water and watering the animals. That might mean a daily 2 mile trip to the creek. 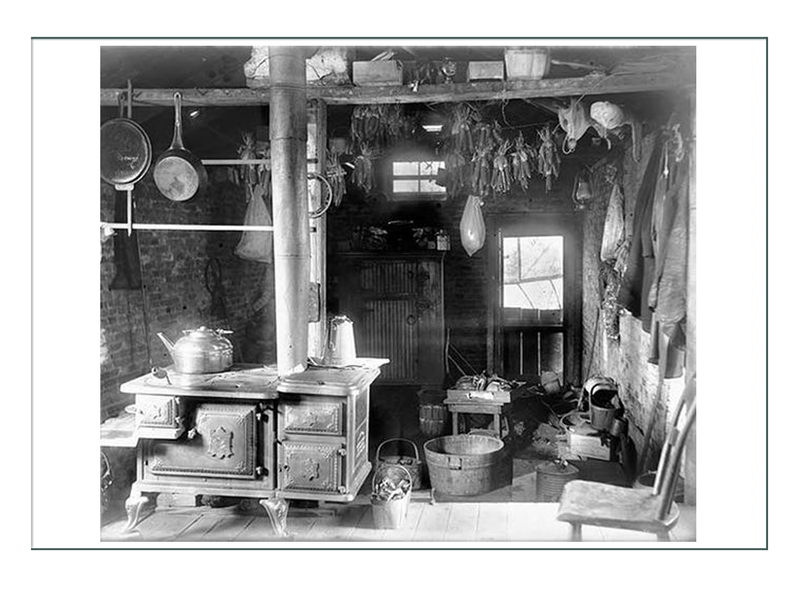 The houses were rough, and it what was already challenging back in established places like Wisconsin to cook on an old stove and heat water in a spot inside it, here it meant cooking outside, preparing raw game, and making do without things like sugar and coffee. Mary’s character and her husband were teachers, so at the first chance they would have formed a school. At first it might be rotating from homesteads, and later they might build a real building. Most of these, being nicer than the homes the people were living in, were built after 1900 and in central locations so children could walk or ride a horse. 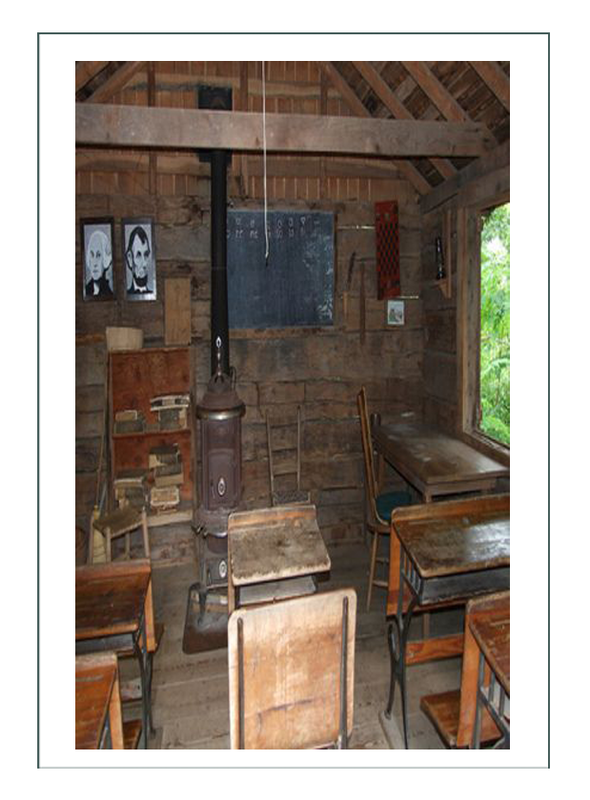 School generally did not go year round. Because life was pretty boring, and they were shut in all winter long, Mary and her husband would find themselves pregnant by the first spring. This would not deter their teaching objectives, but would enhance them and make them feel more a part of the community. Perhaps, they might be thinking, they would stay for good, but only after returning to Wisconsin to have the baby at “home” in the safety of medical care and mother. 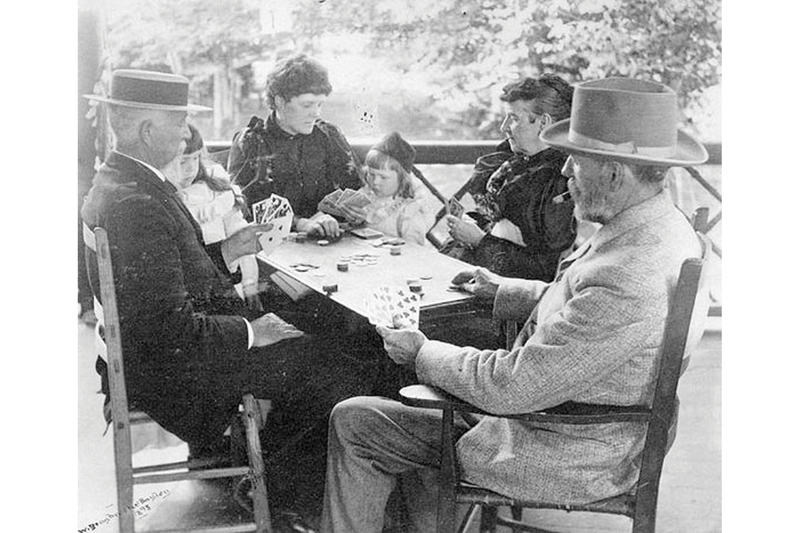 The Mary family would have taken their turn at hosting the teacher. Having gone back to Wisconsin for 3 winters now, they would be approaching the end of their term. 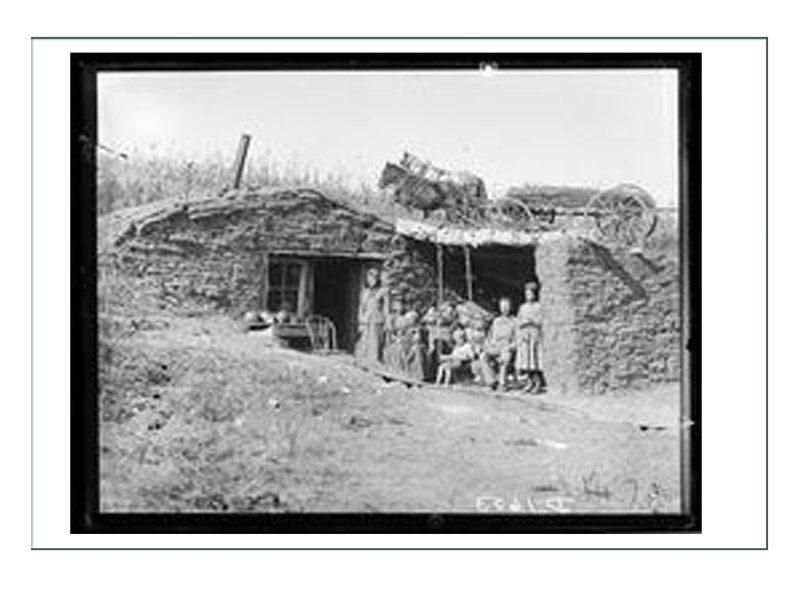 Based on a real family called the “Smiths” in Chugwater, they would by this time have built a house out of stone and given the dugout to the cow and horse. 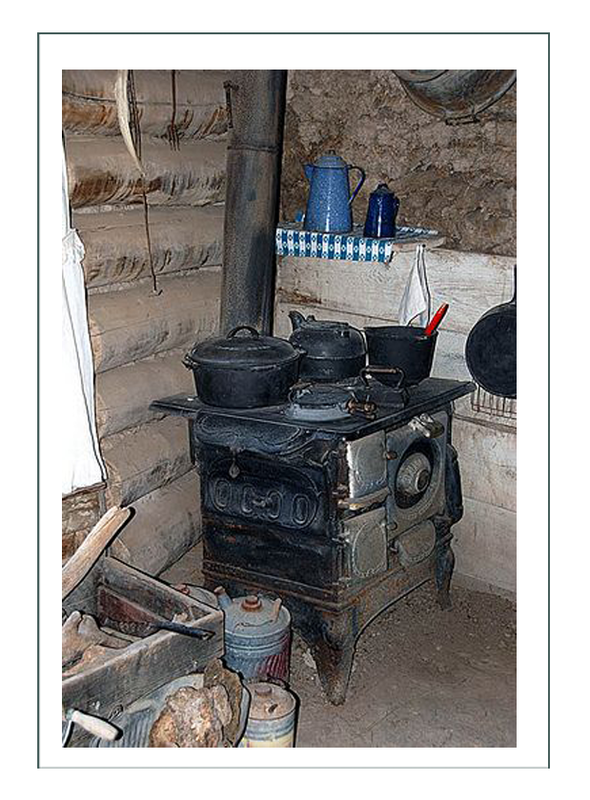 It was a challenge to get a stove across the high plains desert to a homestead, but oh what a treat to have indoor cooking! The real Smith family on which this story is based came from Iowa, and returned happily and quickly to cash in their profits to buy further education to become university teachers where they stayed. Mary’s character may have stayed, and they may have gone. That is to be interpreted. 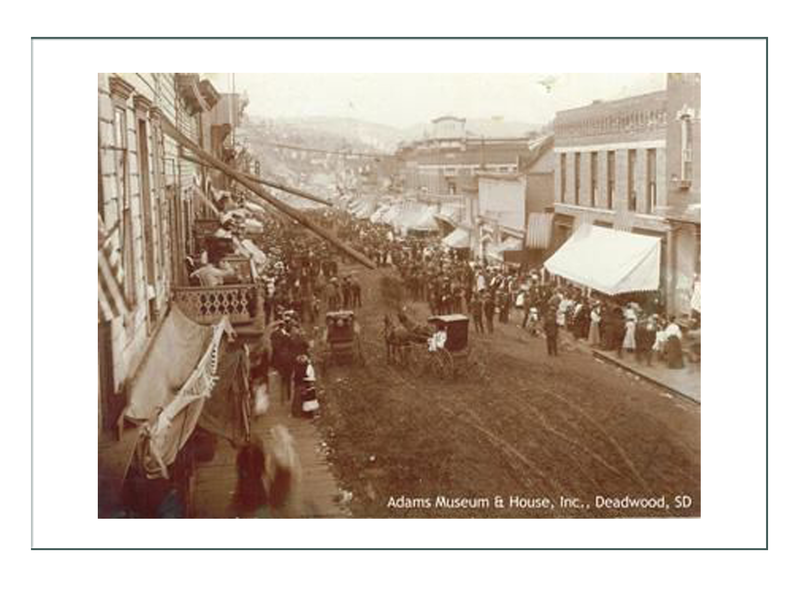 We do know they would have visited at least the “huge” and thriving metropolis of Deadwood, SD, to learn about Mother Shepard “Featherlegs” and the story of her “Red Pantaloons”.